I am influenced by the simplicity and natural elegance of Asian art. These sculptural works are my response to this aesthetic. The botanical decoration inside has been developed through my experiences and learning through my signature Cast Glass Vessel series. Although these works are not nearly as massive these stand approximately ten inches tall and feature a potent botanical composition encased within this thickness of glass. These intimate vignettes are composed from natural elements such as fern fronds, small branches and leaves. During the encasing process the organic matter is entirely vaporized by the heat of the glass leaving behind an ghost-like outline. The ephemeral imprint is brought to life with the addition of raw silver foil, metallic glass powders and reactive shards. Each of these sculptures is one of a kind and individually numbered. Just like any city movers and the shakers operate behind the scenes. however projects of this magnitude being pursued without full public consideration smells of desperation and shortsightedness. I along with many of my fellow citizens were astonished to learn of the scope and risk involved in these two massive projects and equally astonished that we have not heard more news of these planned constructions before. In my curiosity to learn more about this I contacted Claudia Reidener who provided me with following information. 1) LNG (already underway with approval) Liquefied Natural Gas export facility proposed by Bellevue-base Australia owned Puget Sound Energy (PSE). The proposal is for a 180 foot tall gas tanks with liquefied gas (at MINUS 260 F). This facility is solely use to store large quantities, for export, to sell later and to fuel one company’s ships (Tote). International standards say they have to be three miles away from civilians. At a 2014 Plymouth WA LNG accident the fire marshal called a ¾ mile lethal zone around the facility and evacuated everyone within a two mile radius. North West Innovation Works LLC is a Chinese investment entity, proposing to build the largest methanol refinery in the world at the Port of Tacoma. As an LLC entity they minimize their risk leaving the Citizens of Tacoma with minimal recourse in the event of a catastrophic event. 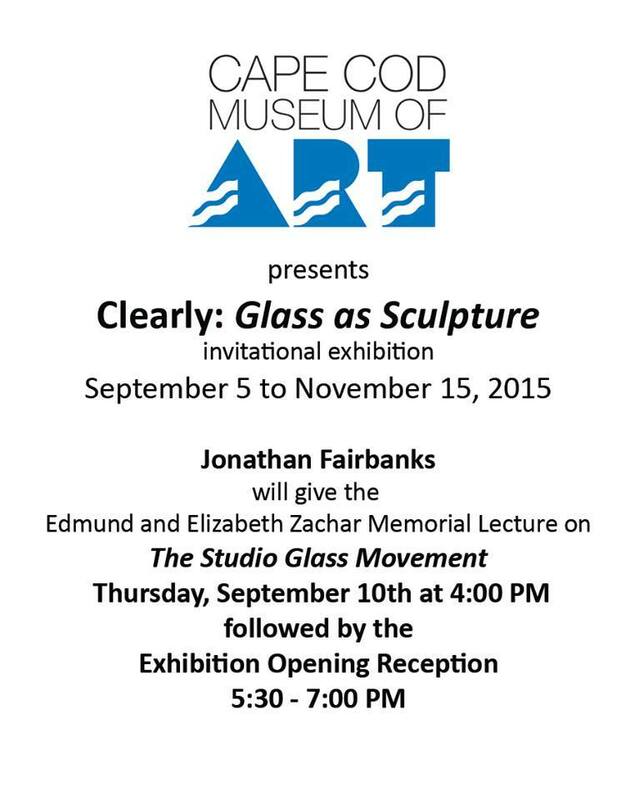 The gallery talk will be held by Jonathan Fairbanks, director of Fuller Craft Museum. Fairbanks will be giving the Edmund L. Zachar Memorial Lecture. In the chilly waters of the Thea Foss one may observe a unique phenomenon, an impossible view into the surface of the harbor. The crisp form of FLOW is the embodiment of negative space and speaks through reflection and diffraction. Its rigid form juxtaposed against fluid motions of the water. This piece works seamlessly within the aquatic environment cycling every 45 minutes it is synchronized with the rhythms of the natural world. FLOW is visible from the promenade in front of the Museum of Glass just in the waters off Dock St. Marina. For me this piece is a proof of concept and I look forward to applying these dynamics in a permanent setting. FLOW is best viewed at an oblique angle. I really enjoyed the process of creating of this dynamic piece. I have dedicated a significant amount time this year resolving the many complexities of both the fabrication of the acrylic form and the function of the mechanical aspects. FLOW challenged every one of my accumulated creative skills including electrical, acrylic fabrication as well as mathematics for the calculation of water levels, flow and displacement. The installation within the decidedly hostile waters Thea Foss Waterway added additional variables to this already complex project. FLOW is on display from September 6th to October 6th it cycles every 45 minutes and is illuminated for night time viewing. This piece was realized through support, funding and donations from the following entities. FLOW is a structured formation of negative space within a body of water. This void will be created in the form of letters. The letters will spell out a word that is directly related to the location of installation. This project will operate much like a boat. The main body of the boat will fabricated from clear Acrylic. It will float just at the surface of the water. Surface water will cascade over the leading edge of the vessel obscuring the outer wall. This “Vessel” will have a self-regulating bilge pump to maintain its level of buoyancy. The finished piece will be displayed summer of 2013 in the Thea Foss Waterway. The final text size and shape will be determined by location and engineering constraints. Lets go back in time to Boston Massachusetts 1993 (dream sequence sound) I was in my early twenties living out in Brighton at the time. Similar to many young adults my friends were able to rent this huge house and filled it with creative types. They all piled into this giant home with a band practice room in the basement. I spent many a fun filled evening at this house, parties, dinners and everything in between. It was known as the “Big House” Groove Butcher was the house band and everyone was playing shows and involved in the in Allston scene, AKA “Rock City” It was a creative and exciting time so much was going on. On a particular day one of the house members came home with two garbage bags full of doll parts, heads legs bodies. Needless to say our creativity got the better of us and the crafting began. Doll parts everywhere. Have you ever seen an illuminated strand of baby doll Christmas lights, nope? They’re awesome! The eyes would glow through the creepy flesh tone empty socket. Our savior Jesus Christ with a doll head helmet? Fu*%ing perfect! This went on for months until we had worked though our stash. We would plant doll heads in each others stuff, it wasn’t uncommon to open up your courier bag at work the next day to find a doll head in there, they were in the cabinets, baby doll hand drawer pulls, even in the shower, you name it. The SkyPonds installation was part of the 2008 Centennial Celebration of the W.W. Seymour Botanical Conservatory. This collaboration between artists Joseph Miller and Oliver Doriss was a response to the unique aesthetic of this historic structure. The installation is a marriage of botanical properties and Tacoma’s tradition of glass making. The cloud forms balance each other symbolizing the delicate interaction of our own ecosystems. They participate in the daily cycles of the conservatory life, gentile condensations, rusting, growing, and evaporating. A closed little loop of life that mimics our own. For more information on pricing contact Fulcrum Gallery.